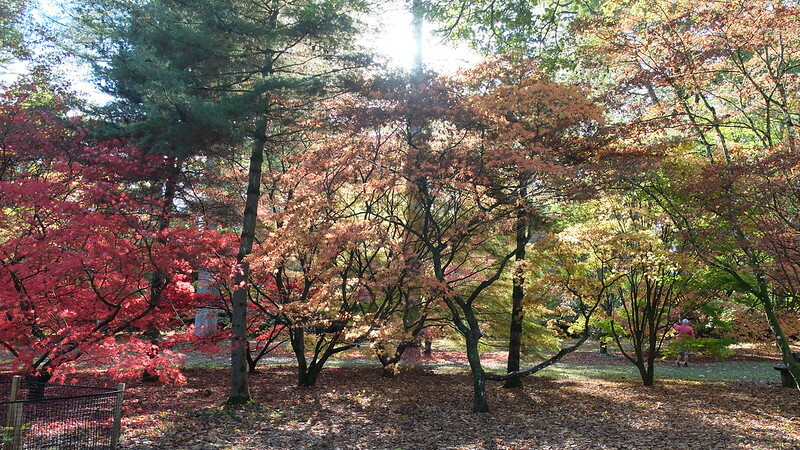 The Autumn colours have been particularly spectacular this year. Here in the Rhondda, the landscape has looked more like North America in places than Wales. We have ancient oak woods clinging to steep valley sides, and vast stretches of pines on the mountain tops. In the valley bottoms are woodlands of ash, oak, sycamore, wych elm, alder and willow. All of these trees have put on quite a show for us. My favourite trees at Autumn have to be acers, also known as maples, which unfortunately for me don't grow in the wild here. 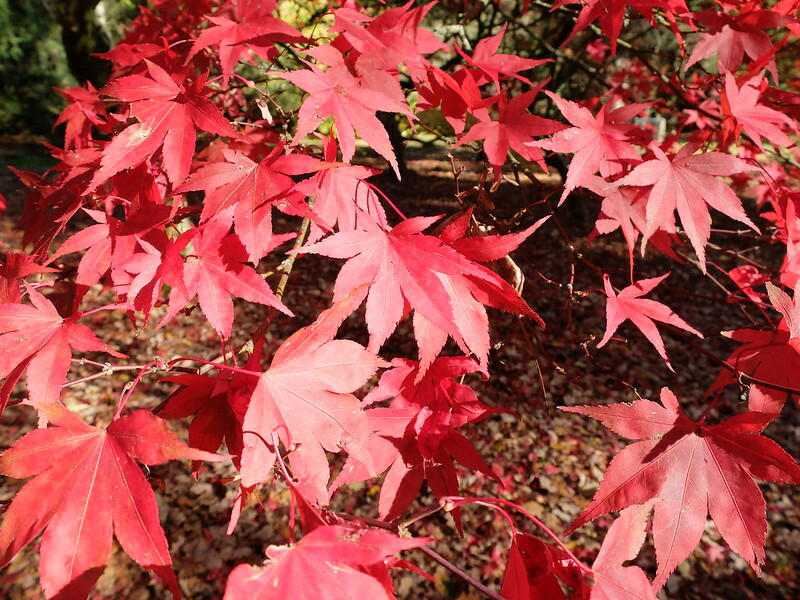 Luckily, we are within easy driving distance of Westonbirt Arboretum, with its world-renowned collection of Japanese maples. A beautifully sunny but cold Autumn day dawned, so we hopped in the car headed across to Gloucestershire. It was the day the clocks went back, so the extra hour was in our favour. When we arrived it was already super busy - seems like a lot of people had the same idea as us. Fortunately it's a very large site, of about 600 acres, with 17 miles of paths. We headed off into the Old Arboretum area first, and enjoyed exploring the twisting pathways. 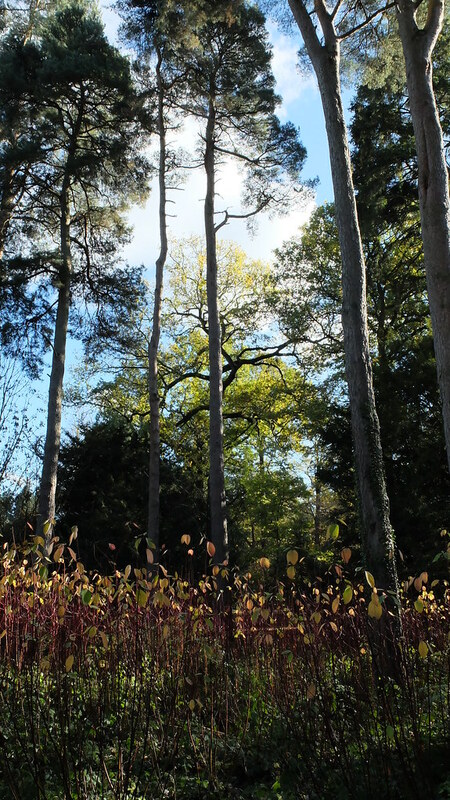 It wasn't long until we found the main attraction, a huge area of red Acers, casting a magical rose-hued light throughout the whole glade. It was packed with people taking family portraits with dogs and children, Asian tourists doing selfies, and some serious photographers with big bits of kit. We took a few snaps, but didn't linger too long as we knew there was still much to explore. 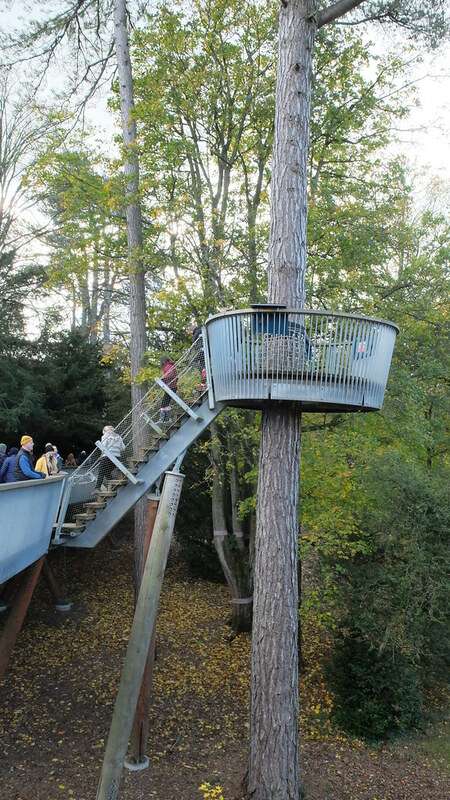 One of the other highlights was a raised wooden walkway that winds through part of the woodland, with little crow's nest lookout points. It certainly gave a different perspective, being at squirrel-level up in the trees. 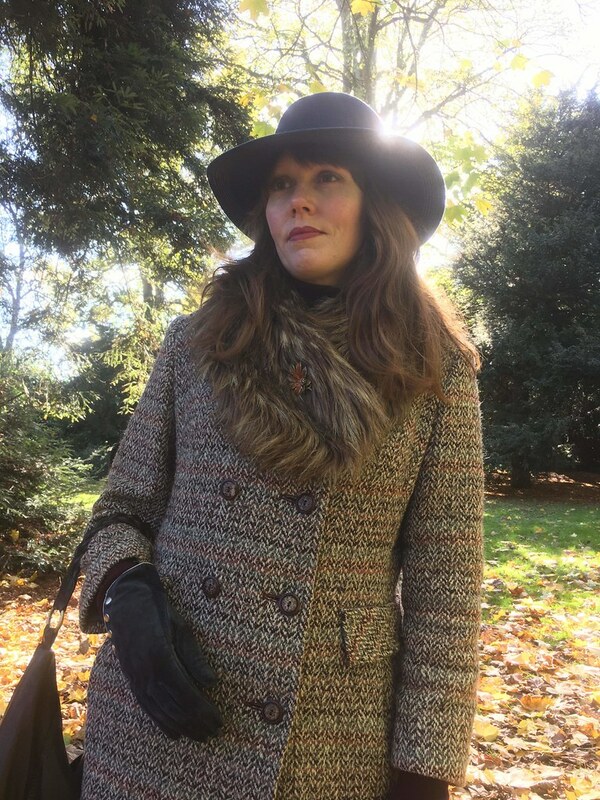 It was a cold day, but I was kept cosy in my new-to-me 1970s Eastex coat. 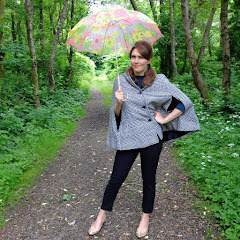 No, I don't need any more coats, but that doesn't stop me buying them - especially as this was just £3! 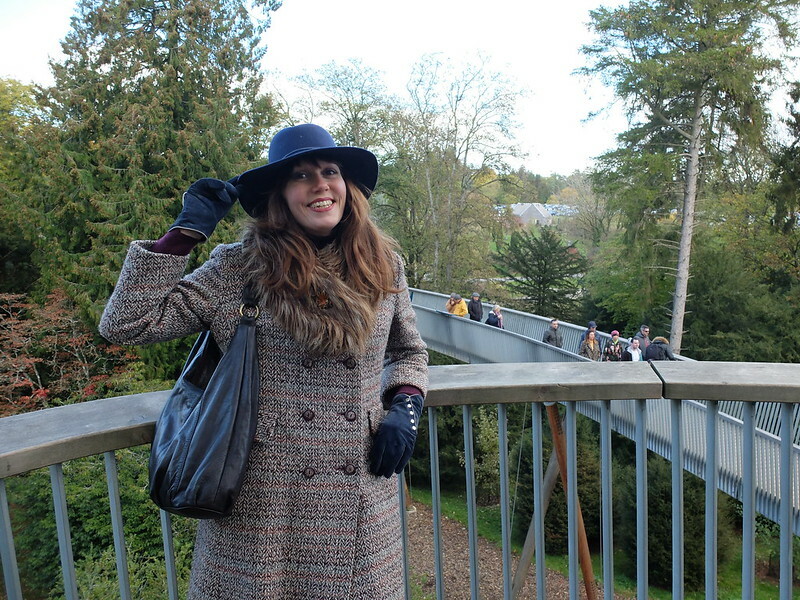 I also wore a 1970s hat, matching its navy colour with my tights and gloves. 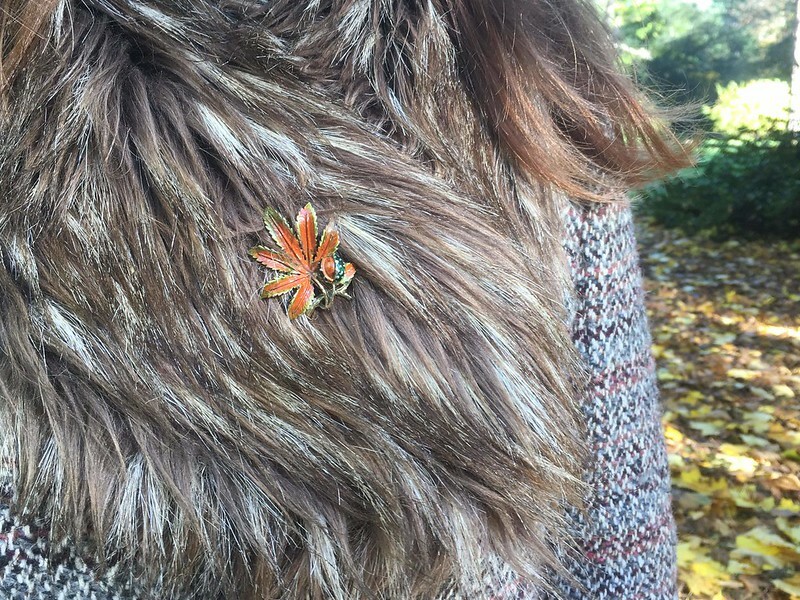 As we were in an arboretum, I chose my horse-chestnut brooch to finish things off. The Prada boots had an outing again, as they are a flat and sensible choice for walking around all day. Even so, our legs were aching after walking solidly for about two and a half hours. Back at the car, we had a welcome cuppa from the thermos we'd brought, and then decided it was time we headed back to Wales. If the arboretum was closer, I would definitely be planning a return trip for their enchanted Christmas trail, as they deck out parts of the wood with lights. I'm sure it would be spectacular. 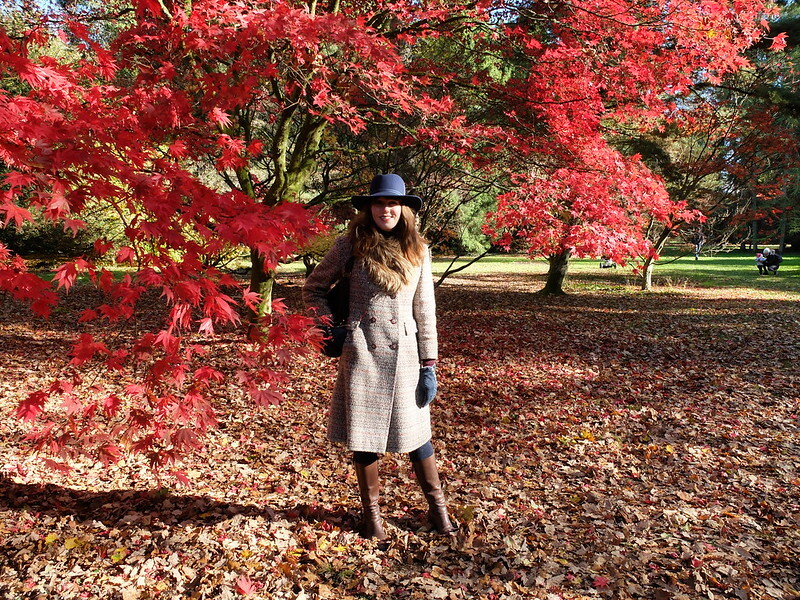 I was left with one burning question - why have we had such a good display of Autumn colours this year? I knew it was to do with the weather, but until I read this article, I wasn't sure of the science behind it. Apparently, a warm summer is a contributing factor, as is not too many frosts early in the Autumn season. If you don't like your news to be fake, I highly recommend The Conversation online news site. It's written by contributing academics, so everything is fact-checked and presented in a non-sensationalised way. 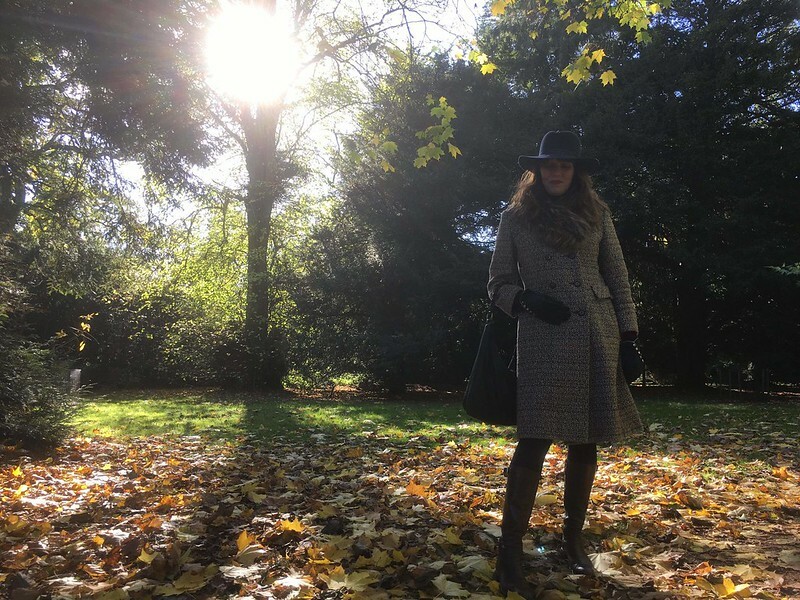 Wearing: 1970s Eastex coat, leather bag, 1970s hat, and 1960s horse-chestnut 'Exquisite' brooch all charity shopped. 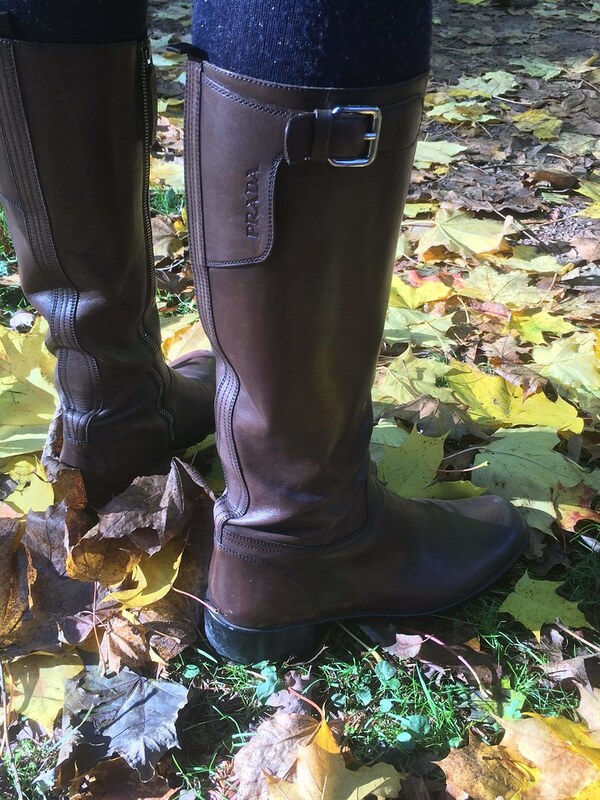 Prada boots via Ebay. Faux fur collar from H&M in about 2005. On a technical note, is anyone else dismayed that photo-hosting service Flickr is going to be changing from January? The free service is being reduced from 1 terabyte to 1,000 photos! 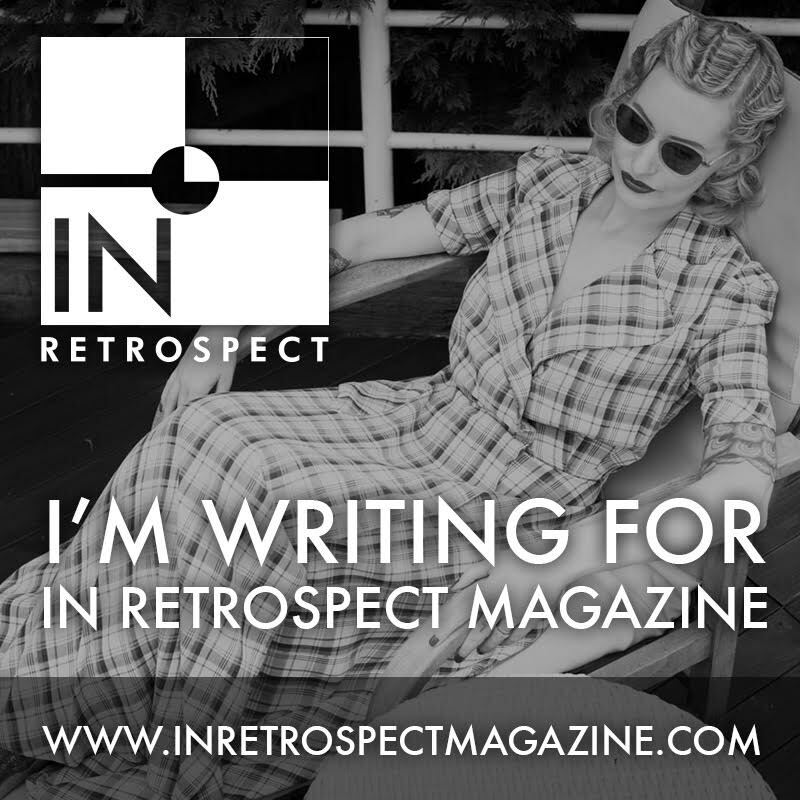 Alas, I use the service to host my blog photos, so I am on the hunt for a free alternative. I am also faced with the prospect of downloading all of my photos from the last 8 years before February, else they'll start to be deleted. 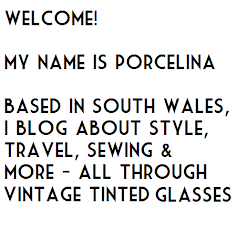 If any of you know of any free photo-hosting sites then please let me know!! Our fall was quick again. Almost all the leaves have left the trees already. I hate it when the trees are bare. What a find!!! Really sometimes I think while you can get cheap coats in Primark or one of those shops you're still better off finding some vintage ones!! Even if they eventually fall apart and you don't fix them you're still contributing to reducing textile waste? I love this outfit - I'm really digging the 1970s fashion lately! Absolutely dreamy!! And I love your coat! The perfect spot for some colour therapy! The Autumn has been magnificent this year, I don't remember it ever being as lovely before. Oh the marvellous shades of autumn... its such a beautiful setting Porcelina. Lovely jacket and OMG you're finally wearing those fab boots. I'm afraid my photos all get hosted by Google via Blogger - though I've yet to come across a limit to the number I can have up on it, and I think it's free. Might be worth looking into. Thanks for mentioning the Conversation too; I'd never heard of it but I've bookmarked it. The Tree Zoo (as it's known in our house) looks beautiful! What a lovely place for a walk. I love your coat - what a bargain! Beautiful photos. This looks like such an interesting and beautiful place to visit! 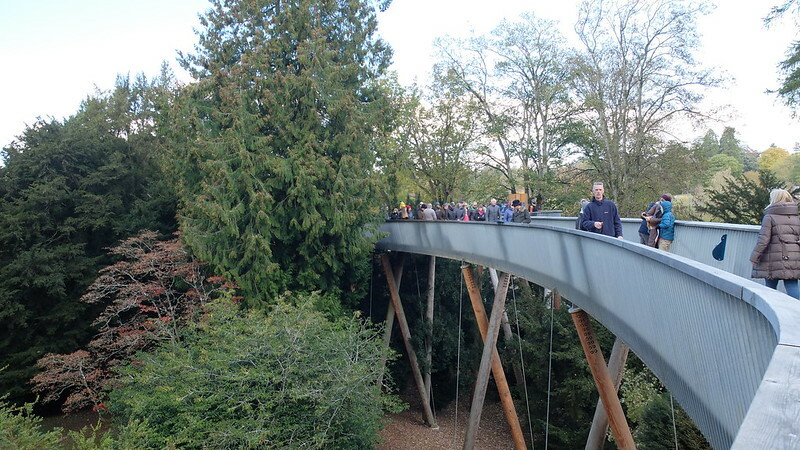 The raised walkway is a very cool idea. 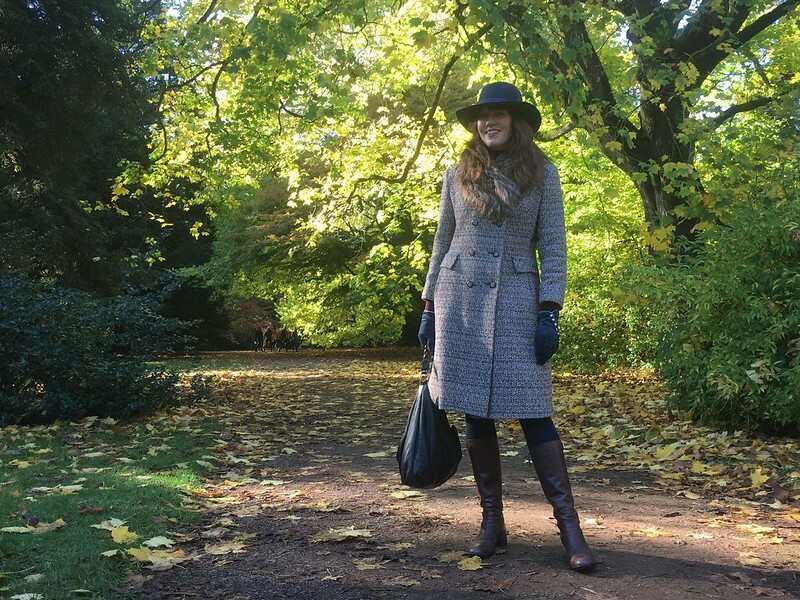 And your outfit looks perfectly cozy and stylish for an Autumn walk!